New Bedside Diagnostic Challenge Blog Series aims to improve patient assessment and diagnostic skills. Med-Challenger, the leader in online medical education, has introduced a new clinical blog series written by practicing physician educators aimed at re-establishing and improving physician bedside diagnostic skills. Subscribe to Med-Challenger’s Medical Education blog for free diagnostic case challenges! 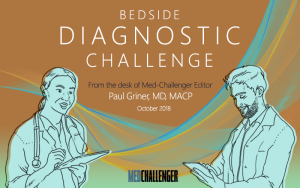 Med-Challenger’s new Bedside Diagnostic Challenge blog series is designed to help clinicians keep their bedside diagnostic skills sharp. 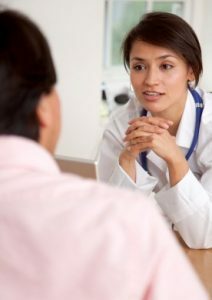 Recently published articles by the American College of Physicians have identified diminishing patient assessment and diagnostic skills, including the understanding of modern lab tests, counter-indications, and the statistical probability of false-positive testing results as a growing contributor to poor clinical outcomes. The result is that diagnoses are being missed, too many laboratory tests are being used to make up for it, the costs are enormous, and unnecessary complications and death result from the cascade of tests, some of which are falsely positive. 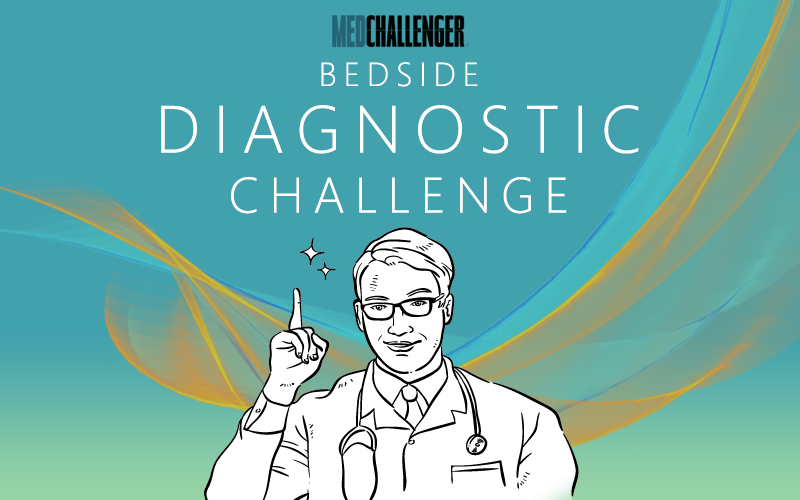 Med-Challenger’s new Bedside Diagnostics Challenge blog series will examine case-based scenarios dealing with patient presentation, assessment, and diagnostic skills. These scenarios will also highlight clinical testing decision-making and information pertinent to understanding tests and data. “Residents and attending physicians find themselves spending more time entering data into a computer, with sick patients that are in and out of the hospital too quickly, that they spend less and less time with the patient, and thus their bedside skills are diminishing. 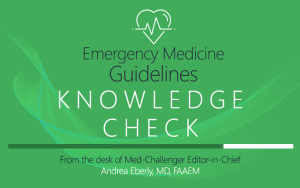 Get more help from the Med-Challenger Medical Education Blog in the form of Guideline Knowledge Checks. Med-Challenger offers free clinical content regularly via its Medical Education Blog, including Clinical Guideline Knowledge Checks to keep clinicians informed of current practice guidelines. We hope everyone enjoys our new Diagnostic Challenge blog and spreads the news to your colleagues about Med-Challenger’s free bedside diagnostic case blogs. Med-Challenger already issues a Guideline Knowledge Check blog series where specific new clinical guidelines are reviewed via case-based questions. The new Diagnostic Skills blogs will echo that format. Subscribe here to the Med-Challenger Medical Education Blog to not miss out on new issues of these informative blog series. In 2018, the Med-Challenger Medical Education Blog was voted one of the best medical education blogs by Feedspot.com.